The compacting factor test is designed primarily for use in the laboratory but it can also be used in the field. It is more precise and sensitive than the slump test and is particularly useful for concrete mixes of very low workability and normally used when concrete is to be compacted by vibration. The method applies to plain and air-entrained concrete, made with lightweight, normal weight or heavy aggregates having a nominal maximum size of 38 mm or less but not to aerated concrete or no-fines concrete. 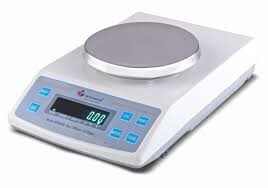 Balance should be able to weigh upto 1 g.
Compacting Factor Apparatus, Trowel, Scoop about 150 mm long, Tamper (16 mm in diameter and 600 mm length), Ruler, etc. IS 1199:1959 Methods of Sampling and Analysis of Concrete (Eleventh revision). Reaffirmed- Dec 2013. 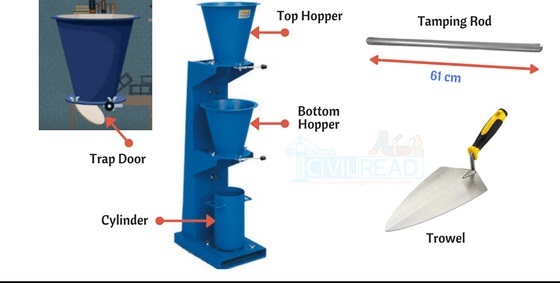 The sample of concrete to be tested shall be placed gently in the upper hopper, using the hand scoop. The hopper shall be filled level with its brim and the trap-door shall be opened so that the concrete falls into the lower hopper. Certain mixes have a tendency to stick in one or both of the hoppers. If this occurs, the concrete may be helped through by pushing the rod gently into the concrete from the top. During this process, the cylinder shall be covered by the trowels. Immediately after the concrete has come to rest, the cylinder shall be uncovered, the trap-door of the lower hopper opened, and the concrete allowed to fall into the cylinder. The excess of concrete remaining above the level of the top of the cylinder shall then be cut off by holding a trowel in each hand, with the plane of the blades horizontal, and moving them simultaneously one from each side across the top of the cylinder, at the same time keeping them pressed on the top edge of the cylinder. The outside of the cylinder shall then be wiped clean. The above operation shall be carried out at a place free from vibration or shock. The weight of the concrete in the cylinder shall then be determined to the nearest 10 g.
The excess of concrete remaining above the level of the top of the cylinder shall then be cut off by holding a trowel in each hand, with the plane of the blades horizontal, and moving them simultaneously one from each side across the top of the cylinder, at the same time keeping them pressed on the top edge of the cylinder. The outside of the cylinder shall then be wiped clean. This entire process shall be carried out at a place free from vibration or shock. This weight shall be known as the weight of partially compacted concrete. 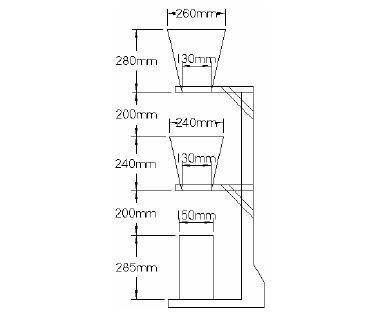 The cylinder shall be refilled with concrete from the same sample in layers approximately 5 cm deep, the layers being heavily rammed or preferably vibrated so as to obtain full compaction. The top surface of the fully compacted concrete shall be carefully struck off level with the top of the cylinder. The outside of the cylinder shall then be wiped clean. The compacting factor is defined as the ratio of the weight of partially compacted concrete to the weight of fully compacted concrete. It shall normally be stated to the nearest second decimal place.